Having driven the 2015 Toyota Sienna (see review on website), we had a good idea about what this minivan offers. Probably the second most popular minivan on the road (only to Hondaâ€™s Odyssey), the Sienna is a beautiful â€˜boat,â€™ complete with all the amenities one needs when navigating around-town and on the road. There isnâ€™t anything better than a minivan when youâ€™re road-tripping. Comfortable, quiet, flexible and complete with all the space one needs. Oh, yeah, and the audio/video equipment for entertainment, the seating choices and versatility can’t be beat. For 2016, Toyota made a few changes in their ever-popular family-hauler, including a more modern style, new powertrain, projector beam headlights and 19-inch alloy wheels. We especially liked the dual moonroof and 180-degree backup camera. The all-wheel-drive would be especially appreciated during those winter months of unpredictable snow/ice. We particularly like the Siennaâ€™s versatile second row with slide-back Captainâ€™s chairs. The touch-screen interface is fairly easy to operate and cargo volume is 150 cu. Ft., plenty to haul any manner of items. The all-wheel-drive we suspect will be handy during those icy/snowy months in Chicago. The second row is versatile and the third row folds very easily. This was appreciated many times when last minute carrying of larger items was needed. Carrying over 5,000 lbs of weight, the Toyota V6 engine worked effortlessly. Paired with Toyota’s 6-speed automatic transmission, the Sienna is easy to drive and maneuver.There are many (16?) trim levels of this minivan, and at all price points. The vehicle ranges from $29,800-up over $46,000. That seems like a lot to pay for a minivan, but when one considers the versatility and how long this particular hauler will remain in the household, one makes allowances. The catch of course, is that many consumers will have to have the latest available in options and technology. Once you get used to that, it’s hard to go backwards.Opting for a base model, however, features are sparse. On its 18-stop tour, the one-millionth MX-5 Miata is coming through the Chicago area. On Saturday September 3, the MX-5 will be displayed at C.J. Wilson Countryside dealership in Countryside, IL. (See the complete tour list below). The 18-stop tour began at Mazda Raceway Laguna Seca for the Monterey Motorsports Reunion from August 18-21. The car will travel the country, ending at the same venue October 1-2 for Miatas at Mazda Raceway. Mazda expects thousands of loyal MX-5 Miata owners, along with some â€˜influential peopleâ€™ throughout the MX-5â€™s history and development, to be in attendance. At each stop-along the way-the first 240 owners and fans will have the opportunity to sign the one-millionth MX-5. The first 400 attendees will receive a commemorative â€œMillionth Miata Celebration Tourâ€ T-shirt at each tour stop. The locations on the tour were chosen based on MX-5 sales history, as well as overwhelmingly successful owners; clubs that expressed an interest in the tour. One of the biggest Miata clubs in the country, Chicagoâ€™s Windy City Miata Club will mostly likely be out in full force. The club boasts 310 members (2015) and 211 Miatas. The one-millionth MX-5 Miata was built last April. To celebrate this historic milestone, Mazda has been taking the vehicle on a worldwide appreciation tour to thank fans and owners for their loyalty toward making the MX-5 Miata the best-selling roadster of all time. 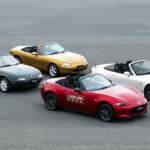 According to Robert Davis, Senior VP, U.S. Operations, Mazda North American Operations, â€œLast year was the â€˜Year of the Miataâ€™ with the launch of the all-new 2016 MX-5, but even a year into the sales of the fourth-generation roadster, that momentum has continued. For the entirety of the Millionth Miata Celebration Tour, the one-millionth car, which is a right-hand-drive Japanese-specification soft top equipped with a 1.5-liter SKYACTIV-G engine, will be traveling with the 15th Miata ever built: A Classic Red 1990 model that made its world debut at the 1989 Chicago Auto Show. This 27-year-old classic is owned by Mazda North American Operations and is part of the companyâ€™s Heritage Collection. For more information and updates on the Tour, go to InsideMazda.MazdaUSA.com. You can also track the one-millionth MX-5, and follow conversation on Social Media. 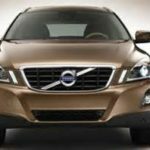 Known always for safety, the 2016 Volvo XC60 T6 is one of the better choices for a small luxury crossover SUV, in terms of the latest in safety developments. Carrying over from 2015, the XC60 has few changes for 2016, and in fact, has dropped some: The fold-down front passenger seat is no longer. Pros for the SC60 T6 include strong and efficient turbocharged four-cylinder engines; great crash test scores; supportive seats; generous cargo space. It’s been hard for family vehicles to be anything but boring (think minivans, I guess), although we donâ€™t necessarily think so. 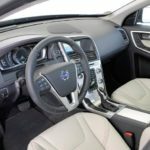 However, Volvo offers a nice alternative in the XC60 SUV, with sleek looks, a stylish and upscale cabin, as well as a solid vehicle. Introduced in 2010, the XC60 has it all, albeit at a fairly robust price. Compared with some of the competition, though, the XC60 still comes in less than Audi 5 or Mercedes GLC-Class. With no shortage of competitors, the XC60 also competes with the Acura RDX, BMW X3, and Lexus NX 200t, the new Jaguar F-Pace, among others. As with all good comes a little disappointment. And so it is with the Volvo XC60. We found the handling less than stellar, discovered we couldnâ€™t take our eyes off the road for fear it would drift off. Power and performance are there in the 2.0-liter, 4-cylinder Turbo-charged, super-charged engine. Paired with Volvoâ€™s all-wheel-drive via a six-speed automatic transmission. We felt the Volvo turn off and on; Volvoâ€™s automatic stop-start system that shuts down the engine to save fuel when coming to a stop. Much like a hybrid, the turbo engine feels less like a turbo. Horsepower is at 302, and torque at 295, making it a strong performer when you need it. We had no trouble taking off and passing when indicated. Midway through the model year, Volvo offered the 2.0-liter Turbo engine with AWD, rated at 23 mpg. combined. Our test Volvo XC was the T6 Drive-E, AWD with several pricy options. The Platinum package, at $4,400 came with power tailgate with programmable setting, Active dual Xenon headlights and washers, Auto-dimming rearview mirrors, and Rear Park assist camera. Other options included the Convenience Package with HomeLink, garage door opener, cargo cover, grocery bag holder, 12V power outlet in cargo area, power retractable exterior mirrors, Electric folding rear headrests, Accent lighting, Harmen Kardon Premium Sound System, Adaptive Cruise Control with brake assist, Pedestrian, Cyclist Detection, distance alert, Lane Departure Warning, Driver Alert Control, Active High Beams, Road Sign Information. The other option was the Climate Package and Child Booster Seat ($1,550) and included heated front seats, Dual Two-stage child booster seats, power child locks, heated windshield washer nozzles, interior air quality system, heated steering wheel and heated windshield. We could actually see the heating coils in the windshield under certain light. Contour seats and charcoal head rests ($600), Metallic paint ($60), Linear Walnut Wood Inlay ($400), and 19-inch LESATH D/C wheel ($750) all brought our test XC60 up to $52,605. Twenty-inch wheels come on the T6 AWD R-Design edition. Our AWD Drive-E version come equipped with 18-inch all-season tires, and 18-inch alloy wheels; with the option on this car, the wheels were 19-inch. A five-passenger SUV, the XC60 offers plenty of interior space, all the features you could want, and excellence in safety. Of course. If you elect to get into the XC60 FWD Drive-E T5 and T6 versions, youâ€™ll be rewarded with some of the most impressive EPA fuel economy (26 mpg combined). You sacrifice a few mpgâ€™s with the AWD models, but mileage still averages around 22 mpg. A small crossover in classification, the XC60 is available in many versions; something like 16 choices! Trim levels correspond to engine and drivetrain, including the T5 Drive-E, T5 AWD, T6 Drive-E, T6 AWD and T6 AWD R-Design. You can also move up to the XC60â€™s big brother, the XC80, if you want more room. All versions of the T6 have a Platinum trim level ( and in our test vehicle, an optional package). The Premier package for the T5 Drive-E and T5 AWD adds a panoramic sunroof, rear privacy glass, leather upholstery, configurable digital gauges, a navigation system and an auto-dimming mirror. The T6 Platinum trim adds a power liftgate, adaptive bi-xenon headlights, keyless ignition and entry, a rearview camera, a premium 12-speaker Harman Kardon sound system, interior accent lighting and Volvo’s Technology and Convenience packages (explained below). Volvo’s Technology package, standard on Platinum models and an option on all other trims, adds adaptive cruise control, an upgraded forward collision mitigation system, driver alertness and lane departure warning systems and automatic high beam headlight control. 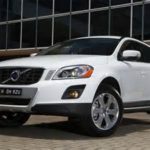 Of course, all XC60s offer standard traction and stability control, ABS, front seat side airbags, full-length side curtain airbags, whiplash-protection front seats, along with the standard City Safety system-a low-speed forward collision warning and mitigation system with automatic braking. The XC60 received a five-star rating in government crash tests, and a â€œsuperiorâ€ rating for its frontal crash prevention technology. As with all Volvo products, the seats are very comfortable and supportive. Switches and controls are intuitive. The audio system pad may seem somewhat dated, but is simple to operate. We liked the dial-around nav system and although a tad laborious, is simple to figure out. The 2016 Volvo XC60 T6 Drive-E delivers respectable acceleration and very good fuel economy. The turbocharged engine offers plenty of power, but takes a little getting used to when shutting on/off, if youâ€™ve never driven a hybrid vehicle. The ride is smooth, takes all manner of roads with little effort, is quiet, yet firm. Youâ€™ll know the XC60 is a Volvo-by look and feel. But thatâ€™s not a bad thing. It still feels like a Scandanavian vehicle, with looks, comfort and class. EPA Fuel economy: 19/27 mpg., 22 mpg avg. Others have said it before this writer: This is the best Prius ever. Coming from someone who had little use for hybrid vehicles (give me a good V-8 any day), my week in the beautiful Hypersonic Red 2016 Prius made me a believer. So much so, in fact, Iâ€™ve seriously considered replacing my 13 year-old Infiniti with this little do-it-all hybrid. Itâ€™s fair to say that two years ago when driving a 2014 Prius back and forth from Chicago to Vermont, I was pretty impressed with all this car can do. We packed it full of â€˜stuffâ€™ to bring back/forth and it never missed a beat; averaging somewhere around 58 mpg. Who could argue with those numbers? I appreciated all that the 2016 improved Prius offers; I enjoyed driving it, riding in it, maneuvering it, on and on. The new restyled look is up-to-date, edgy and less like a boring hybrid shape. The color added to first impressions, and the ride is practically flawless. The driverâ€™s seat is one of the most comfortable this writer has ever encountered. Soft, yet supportive, and the 8-way power-adjusted driver seat with lumbar made it possible to get just the right angle/fit. Am I gushing? I guess so. But I was surprised at how much I resonated with the Prius. For the first time in my life, I have no idea which car I would buy at this time. Many choices, of course. In the past, I always knew exactly what vehicle I was going to purchase next. Our 2016 Prius Four Touring press car came equipped with a few options, including the Special Hypersonic Red color ($395), Cargo net ($49), Door Edge Guards ($125), Wheel locks ($65), Rear Bumper Applique ($69), and Body Side Molding ($289). All these options brought the carâ€˜s total price close to $32,000, but consumers can buy the Prius for quite a bit less. As one would assume, much is standard on the Prius, including rain-sensitive/intermittent wipers, Auto on/off Bi-LED headlights, Heated power outside mirrors, 7-inch high-res display premium audio with navigation, Entune, App Suite, backup camera, AM/FM/CD, SXM, Bluetooth, fold-down rear seating, Ql-compatible Wireless Smartphone Chrg, Tilt/Telescoping steering wheel with controls, 3-Door Smart Key, cargo area tonneau cover, tire repair kit, and power doors/locks/mirrors. Of course, the latest in safety which earns the Prius a 4-5 star rating from the NHTS including vehicle stability control, traction control, ABS, Electric Brake-Force Distribution, Brake Assist and Smart-Stop Technology. While driving, apparently we came a little too close to the car in front of us and up popped a warning: BRAKES!. A little alarming at first, but I suppose a good idea, especially for texters! Several airbags are standard fair, including knee bags, active headrests and side curtain airbags. When first introduced, the Prius was a hybrid. Period. The second generation offered much more, with higher technology, as-promised miles-per-gallon that couldnâ€™t be beat. Now, 12 years later, hybrids arenâ€™t as sought after. With cheaper gasoline prices, and many other types of vehicles offered, the standard hybrid had to keep up and offer more. 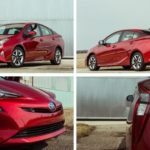 The redesigned Prius has a combination of both space and efficiency, and no one can dismiss its achievable fuel economy of 50 mpg, at high and low speeds. Some have said it lacks â€˜fun,â€™ but I think this 2016 Prius has much more to it than previous models. I so enjoyed driving it that I had to pinch myself. Braking seemed somewhat vague; hence, the reason for the â€œBRAKESâ€ on the windshield. Improved road manners can be attributed to Toyotaâ€™s TNGA (Toyota New Global Architecture). Enabling a lower center of gravity and sophisticated suspension, both improving ride and handling, the Prius feels more like a â€˜sedan.â€™ One youâ€™d want to get into each morning. The ride is noticeably better. The rear suspension gets an independent trailing-arm arrangement, replacing the previous torsion-beam axle. The ride is better controlled, and impacts are soaked up more soundly. The steering isnâ€™t terribly communicative, but then itâ€™s a hybrid, not a performance vehicle. Turns are easily executed, and the Prius is just easy to drive. Commuters will benefit from the Priusâ€™s superb interior space and upgrades. As mentioned earlier, when driving the Prius from Chicago to Vermont and back, the Prius excelled in availability of room for all matter of objects. Beyond the liftgate is a low, flat cargo floor; the 60/40-split rear seats fold easily the expand the available space to 66 cubic feet; much like a crossover. Cyclists can easily fit their bike in the rear space. Competition is considerable, compared to the Priusâ€™ first few years on the market, and includes the Ford C-Max ($25,045-$32,645), Prius V ($27,510-$31,770), Lexus CT ($32,000), Chevy Volt (33,995-$38,445), Prius C ($29,394-$25,330). As you can see from the pricing, they all fall into the same price range. EPA fuel economy: 54/50 mpg.